May 01: PEMRA issues notices to 14 TV channels over live speech of Altaf Hussain who criticized army after a police official charged his MQM party with allegedly involved in terrorism. May 13: Faysal Mujeeb, a White Star photographer who works for Dawn, was beaten up by Rangers personnel at the Memon Medical Hospital where the bus attack victims were brought on Wednesday morning. May 13: Press Council of Pakistan sends APNS letter to remind its members of constitutional obligation to avoid criticism of ‘friendly countries’ and specificially mentioned Yemen crisis to imply Article 19 in this regard. May 20: Sindh Chief Minister Qaim Ali Shah tells news conference that mastermind of murder media activist and human rights defender Sabeen Mahmud was arrested. May 20: Journalist Saleh Din Orakzai survives attack in his office in Hangu district of Khyber Pakhtunkhwa province when armed men assaulted him. 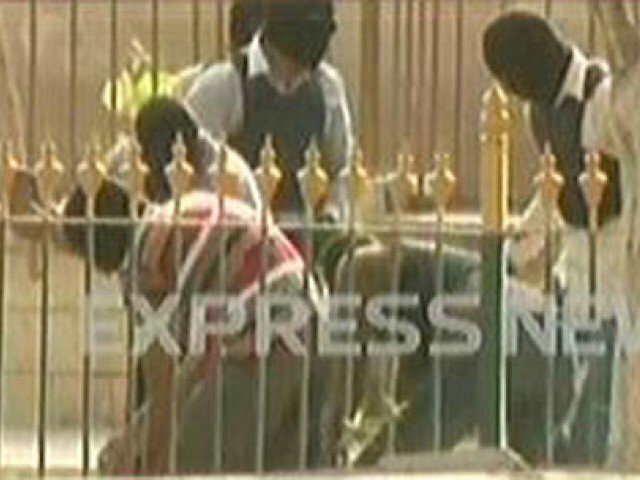 May 23: Sindh police commandos manhandle journalists outside Sindh High Court building while covering the story of Zulfiqar Mirza.